A community, town, city, region or country is just like a business…it must be marketed and developed from the inside out. How often have we heard or seen great advertising slogans describing a business, community or city, only to arrive there to find out that the “real life experience” falls far short of the expectations set by the advertising. Media Marketing has value, although we believe it has to be “backed up” from the inside out. 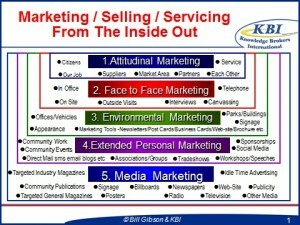 Following is the Marketing Your Community From The Inside-Out Model along with a few quick Inside Out Community Marketing Ideas. PowerPoint #1 – Attitudinal Marketing: The backbone and real power of a community starts deep on the inside of the community…it starts with having a marketing and servicing attitude. It is the attitude that politicians, municipal management, municipal employees and even citizens in general have towards business, each other, their services, their community and life itself. Eliminate Us vs. Them – find ways to work together, have a shared vision and look for similarities and respect the differences. Don’t get even…get ahead! Incentives Through Wandering – have a person or small committee who wanders through the community giving recognition for positive things people and businesses are doing for the community. Feature a business or social group of the month through the local media. Learn From The Winners – utilise local successful people to tell their story to others and demonstrate the possibilities. Shop Your Community – engage credible people to give monthly positive and not-so-positive feedback and then act on it, utilise focus groups for the same purpose. People and Businesses Go Where They Are Invited and Stay Where They Are Appreciated – have special weeks to create excitement and show appreciation. For example…teacher’s week, nurse’s week, civic worker’s week, construction worker’s week, Petro S.A. week, tourism industry week, small business week…the list goes on! Be A Tourist In Your Own Hometown – the month before tourist season encourage local people to be a tourist in their own hometown or community. Sightseeing tours, special local hotel rates, tourist information and contests that promote tourism knowledge are part of the initiative. Have the Media run programs on “Know Your Community”. Respect Your Community – make a list and promote the positives of your community. 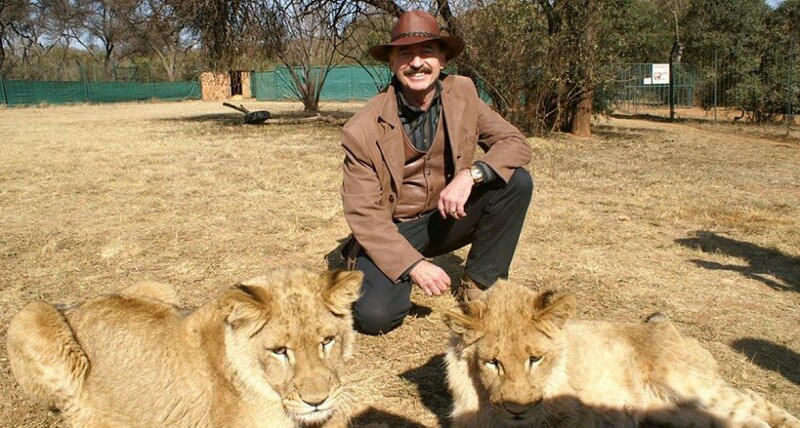 I’m originally from Canada and I’ve personally got a list of Great Things About South Africa that most South Africans don’t talk about. Longest Wine Route in the world…stops at my house in Gauteng! LOL! Only country bidding for the World Cup with 3 Nobel Peace Prize Winners on the team…wow, what a country! 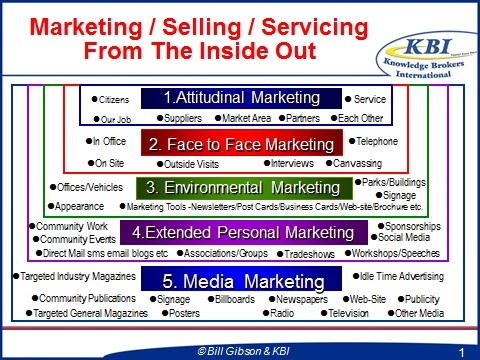 PowerPoint #2 – Face To Face Marketing: This is the telephonic and face to face interaction we have with the public and with each other and how well we interact. Set up a Community Marketing Team (could be volunteer) that supports and works with the Community Economic Development Department. The wisest people, the most energetic entrepreneur, the best employer, the most innovative business person, the most community conscious individuals should be on this team. Target them and invite them to help. Categorise potential businesses and projects needed in your community under AAA, AA, A, B and C categories utilising criteria. Decide on a few “Most Wanted” and get several people involved in going after the “Most Wanted” businesses and projects. Select a group of high profile and frequent traveller individuals who love your community and make them Official Community Ambassadors and give them business cards that confirms this. Conduct a training session or guide on how and where to use the cards. Have a community “SWAT Team” that can help businesses in trouble with free advice on how to “turn the business around”. Run customer care programs for municipal personnel and the community at large…sponsored by local government. Give certificates and “pins” they can wear that say “Hospitality Graduate”. Have “Format Touring” when potential citizens and potential business owners and investors come to town so they see the community in its “best light”. Without a doubt, they will discover the negatives so make sure they see the positives. Part of “Format Touring” would be the introduction to “positive”, “optimistic”, “successful” business leaders and community minded citizens. Also tour them to impressive landmarks, historical areas and exceptional facilities. Amplify your community – create a community mascot that goes on all your advertising or visit trade shows, events and other large gatherings (Person in a costume). Erect the World’s Largest – in Canada one community has the World’s Largest Fly Rod and Reel (the idea came out of a brainstorm session I facilitated), another has the World’s Largest Ice Hockey Stick and another has the World’s Largest Moose. How about the World’s Largest Surf Board, the World’s Largest Elephant, the World’s Largest Trout or the World’s Largest Grape. Small replicas, restaurants, post cards and many other revenue generating ideas could result from your “World’s Largest”. Develop “Speaker Packages” that can help Community Ambassadors and enthusiastic citizens speak on and present the great things about your community and the opportunities available. Also consider a “Community Public Speaking Team”. (This strategy was used with great success to promote the World Fair in Vancouver, Canada in 1986). Promote and Advertise “Potential Opportunities” in your community on a monthly basis. Conduct Workshops and publish “how to” pamphlets on such topics as becoming a supplier to government and effectively interacting with government. Identify the Types of Franchisees you need in your community and then direct mail or e-mail an “invitation” to the appropriate S.A. Franchiser to investigate the opportunity. PowerPoint #5 – Media Marketing: By Maximising the first four PowerPoints the experience people will have with your community will more closely match the advertising messages created by your advertising professionals. With Media Marketing understand that it is better to reach 5000 of the right people 20 times with an effective message than 100 000 people only once with a message. Think frequency (repetition) first. Reach comes with the amount of money you have to spend. Remember, communities need lots of successful businesses contributing to the tax base to support the infrastructure and community services that help communities grow and prosper. This is a big reason for attracting, developing and keeping good businesses in your community through effective marketing from the inside-out. Not only does Bill Gibson focus on sales and marketing within corporations. He has also spoken to dozens of communities in Canada on the people side of economic development (Marketing A Community From The Inside-Out), spoken at economic development conferences, spearheaded “Strong Communities for The 90’s” in Canada, Co-authored “Communicating Economic Development” with Neil Godin, was declared Canada’s #1 Business Speaker by The Chamber of Commerce Executives of Canada, and over 5 years his company graduated over 5000 Business Owners in Canada from his in-depth 6-10 Month Business Owner Development Programs. He can be reached at +27-11-784-1720 or bill@kbitraining.com. This entry was posted in Customer Service & Team Work, Economic & Community Development. Bookmark the permalink.